"And do not forget to do good and to share with others, for with such sacrifices God is pleased" (Hebrews 13:16). Group Publishing began over 40 years ago in the home of our chairman, Thom Schultz, in Loveland. Since that humble beginning, we now have 250 staff members. We provide books, magazines, curriculum, service experiences, training events and more to a global audience. Every year, Group gives a portion of its profits back to the community. 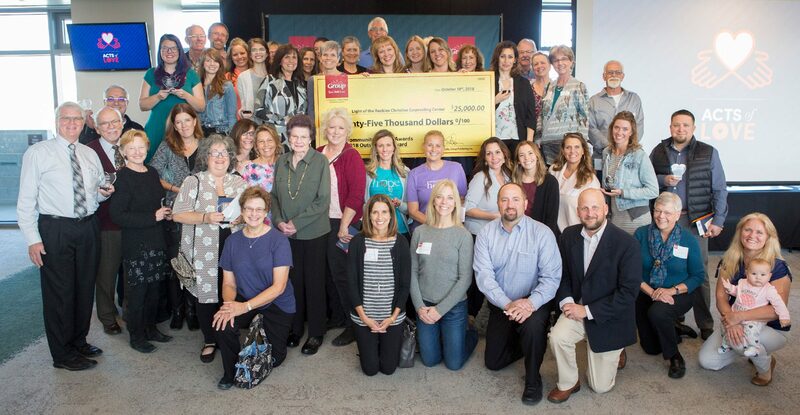 Since 1997, Group has donated more than a million dollars to non-profit organizations in Northern Colorado through Group’s Community Service Awards. This year Group has awarded $61,000 to the following outstanding organizations.